On October 31, Girl Scouts of the USA celebrate Founders Day. It is dedicated to Juliette Gordon Low who founded the organization in 1912. The Scout Movement was founded in 1907 by British military officer Robert Baden-Powell, who held a camp on Brownsea Island to test the ideas for his book titled Scouting for Boys. In 1910, Robert’s younger sister Agnes created a similar organization for girls, Girl Guides. Girl Scouts of the United States of America was founded by Juliette Gordon Low. 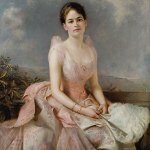 Juliette Gordon was born on October 31, 1860 in Savanna, Georgia and married William Law in 1886. Following her husband’s death in 1905, she traveled a lot, looking for a project she could devote her skills and time to. In 1911, she met Sir Robert Baden-Powell, who told her about the Boy Scouts and became her close friend. In August 1911, Gordon Low became involved with the Girl Guides movement in Scotland. In 1912, she returned to the United States to launch the Girl Guides movement there. The first ever Girls Guide troop meeting was held on March 12, 1912 in Savannah, Georgia. What started as a group of 18 girls led by Gordon Low has grown into a nationwide movement comprising 3.7 million members. Girl Scouts of the USA celebrate the birthday of Juliette Gordon Low as Founders Day to honor her contribution to the creation and development of the organization.